Another addition to the Holiday cooking guide: Gravy has to be the best part of the Thanksgiving meal. I mean, you can pour it on the meat, the mashed potatoes, the dressing, or sop it up with a roll. I have never really tried to describe how to make gravy before so I have put a lot of thought into this. Have you heard of a roux before? That is a fancy French cooking term for cooking flour with fat that becomes the binder for gravies and sauces. 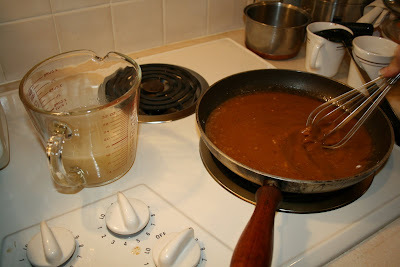 Basically, to make roux-based gravy, there is a magic ratio of 1 Tablespoon fat (butter, oil, pan drippings) mixed with 1 Tablespoon flour and thinned with 1 cup of liquid (stock, broth, or milk). You can make sauce using other thickeners like corn starch or egg. 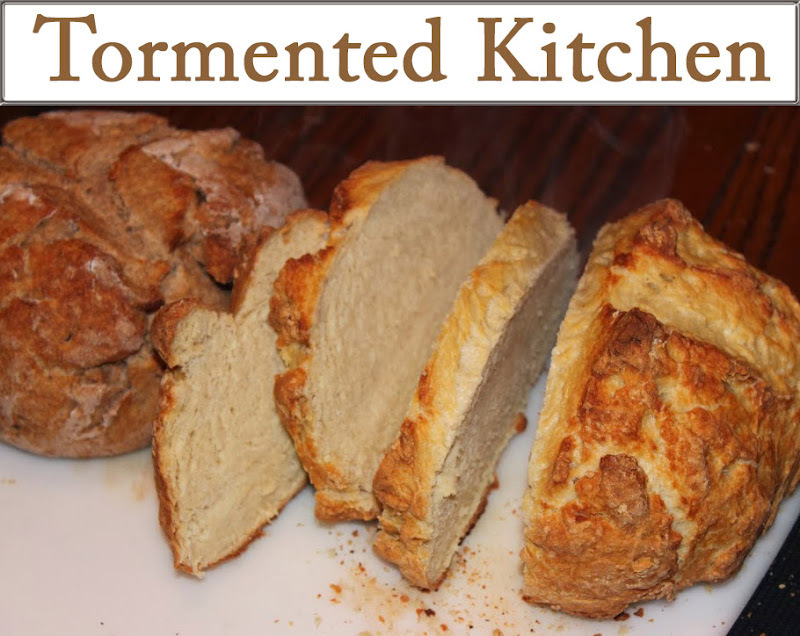 But if you are looking for a certain texture, the way to go is probably using a flour roux. I have read lots of cookbooks and lots of websites and lots more cookbooks. I have been cooking since I was little kid, so gravy was one of the first things I learned. It's really easy, you just have to stir the liquid in just right to prevent lumps. 1. 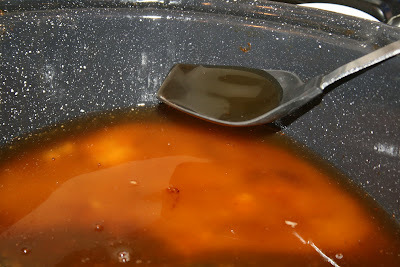 Carefully pour the pan drippings into a large measuring cup or gravy separator. You want the bottom layer of flavorful juices. The top layer is just boring fat. 2. In a large frying pan, add about 1/4 cup of the bottom layer juices. Bring it up to a simmer and add 4 Tablespoons of flour. Using a whisk, continue cooking about 2 minutes. Your roux should look like pasty. This is normal. 3. Slowly add your turkey stock, about 1/2 cup to one cup at first, while whisking. 4. When that has started to look evenly blended, add some more stock, still whisking. Then add the rest of the liquid, whisk until blended well. Season with salt and pepper to taste. 5. Bring the gravy up to a boil and let it slowly boil until it has thickened, stirring occasionally. It should nicely coat a spoon. 6. Serve in a gravy boat with a gravy ladle for the ultimate classy presentation.